Bhuj is The Westernmost City of India, And a Treasure Trove of Heritage And Culture. Bhuj, the westernmost city of India, is a treasure trove of heritage and culture. It is known for its small, meandering streets, palaces, temples, and the oldest museum in the whole of Gujarat. It not only has numerous places of interest within the city, but places (especially villages) around it that are extremely famous for their traditional embroidery and handicrafts. Located around 300km from Ahmedabad, it falls near the Gulf of Kutch, on the edge of the Arabian Sea. It’s location with the low hills overlooking the city makes it visually stunning. 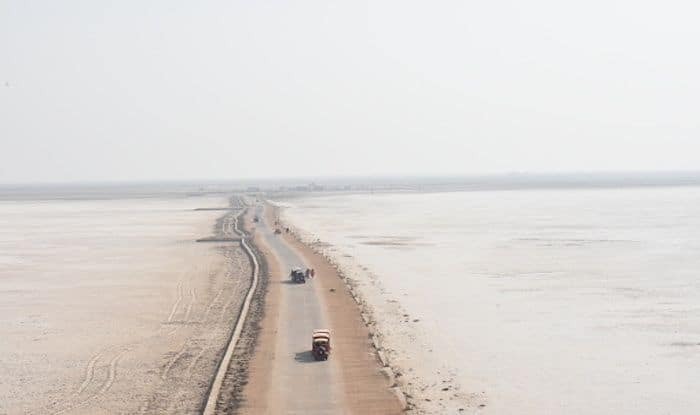 Bhuj experiences a hot climate because of its proximity to the Great Rann of Kutch to its north and the Small Rann to its west, which are both vast, sandy and dry salt flats. However, it’s pleasant during the winter months. Among all the palaces here built in traditional Kutchi style, you must first check out Aina Mahal or the Palace of Mirrors (Old Palace). Located in the old part of the city, it’s a great attraction and houses a museum within it. The Hall of Mirrors and the Pleasure Pool inside the palace are especially gorgeous. Also visit the Kuchch Museum, formerly known as the Ferguson Museum, that was built in 1877 and has a good collection of artefacts, depicting the history and culture of Bhuj and its surroundings. It is the oldest Museum in the state of Gujarat. Sarad Bagh Palace and Swaminarayan Temple are other attractions of this city. Keep an eye out for the glorious city walls that were built in 1723 by the local rulers on the hills overlooking the city – they can be seen from different parts of the city. Now, there are a number of villages around Bhuj, that must be explored by cultural vultures. Special permits have to be obtained from local government offices in Bhuj to visit these villages. Some of the important ones are Bhujjodi, which is famous for weaving; Padhar and Dhaneti that are famous for traditional ahir embroidery; Dhamanka which is known for block printing; Lilpur known for its embroidery while Anjar is famous for block printing, tie and dye items and traditional betel nut crackers. These items make for beautiful souvenirs and make for good gift items to take back with you.